21 Stages of Meditation gives you tools and experiences to deepen your meditation and come to a profound understanding of your Self. Join Krishna Kaur from April 8-13, 2019 – right before Sat Nam Fest Malibu Canyon begins! 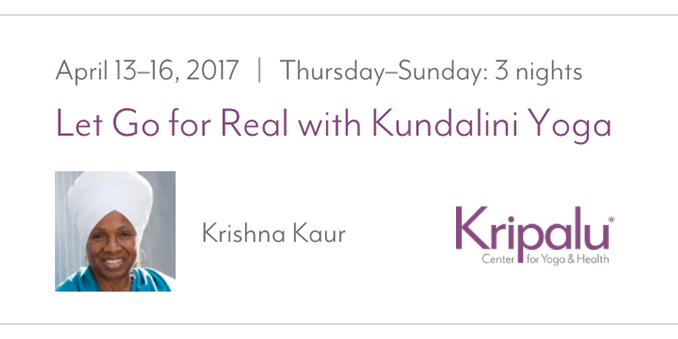 Learn Kundalini Yoga techniques of breath, meditation, and mantra to tap into a deep inner stillness and release stress and tension with Krishna Kaur from May 19-24, 2019. 3HO’s Summer Solstice Celebration is a 9-day spiritual gathering in the high desert mountains of New Mexico.It is a rare opportunity to cleanse the mind, go beyond ego and feel your spirit soar from June 13-22, 2019. October 8- 13, 2018 Event Has been Canceled Email info@krishnakaur.org for more info. 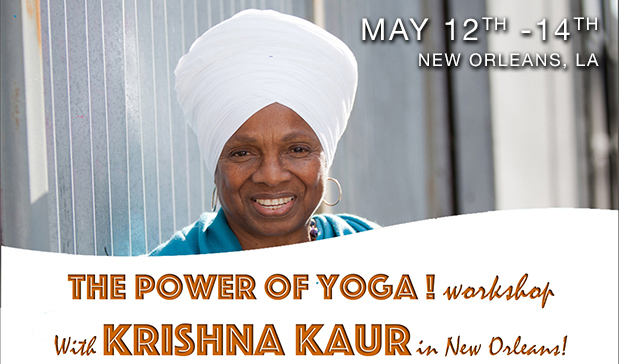 The Power of Yoga workshop with Krishna Kaur, in New Orleans.